that’s almost $4,000/year. You do the Math! All of this is the Cost of Noise. 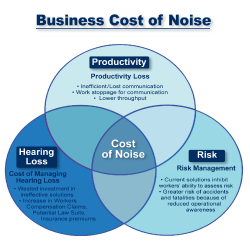 The Cost of Noise is hearing loss, productivity and risk management. The cost of noise saps productivity and adds expense to companies. Reduce or control the cost of noise and profits will flow straight to the bottom line. It is a competitive advantage and many companies have recognized it. So if you and your company want to do something about the cost of noise? There’s a cure. 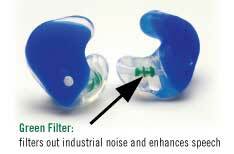 We challenge you to take our dB Blockers to prove we can reduce your cost of noise. Send us an email at hear@protectear.com with the subject line: Challenge us to show you how dB Blockers can reduce the ‘Cost of Noise’ for your enterprise!